Global economic growth is continuing, but with intensified risks that include policy uncertainty, geopolitical developments, a gradual tightening of financing conditions, and a rise in debt levels and currency volatility. 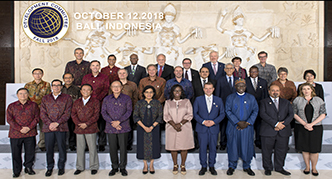 The joint Bank-IMF Development Committee meets every fall at the time of the Annual Meetings of the Boards of the Governors of the World Bank and the IMF, and every spring at the Spring Meetings, to discuss the progress of the work of the Bank and the Fund. 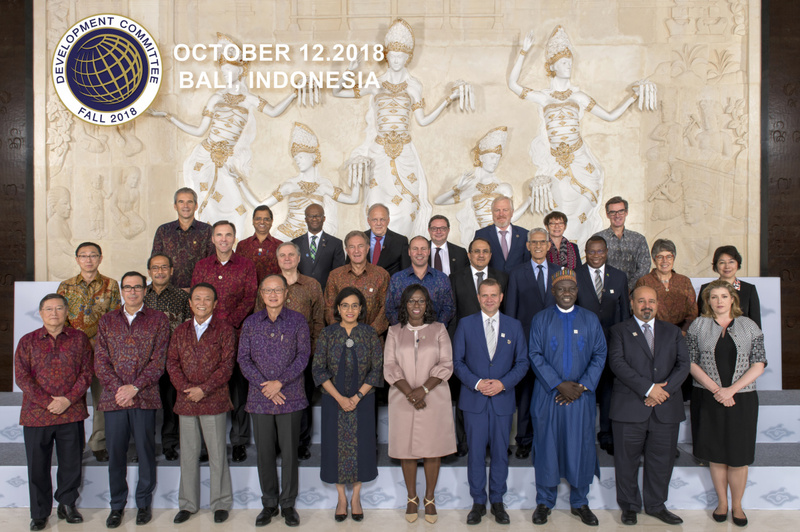 Following the Annual Meetings tradition, the Development Committee meets in Washington two years out of three and, in order to reflect the international character of the two institutions, every third year in a different member country. Spring Meetings of the World Bank Group and the International Monetary Fund, Washington, D.C. Annual Meetings of the World Bank Group and the International Monetary Fund, Washington, D.C.
Ken Ofori-Atta is the Development Committee Chair since October 12, 2018, and is the Minister of Finance of Ghana. Yvonne Tsikata is the Development Committee Executive Secretary. The Secretariat carries out the diverse day-to-day working on the Committee on the growing number of development issues.